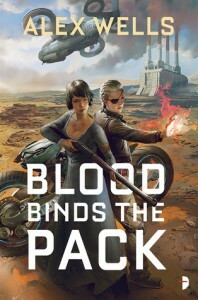 An excellent follow up to last year's Blood Binds the Pack, this is more of the same biker mayhem and worker plight on Dune with great characters and plenty of action. I'm going to qualify the Dune comparison with "desert planet" and "genetically modified navigators" as opposed to being another story about a rich, well educated, cultured boy being the chosen one for an indigenous population. Unions and company towns are more in line with this setting. And a clear line is drawn between oppressor and oppressed. Two great books so far. This ends with what feels like a conclusion, but I could easily read a sequel. Or another book set elsewhere in this universe.